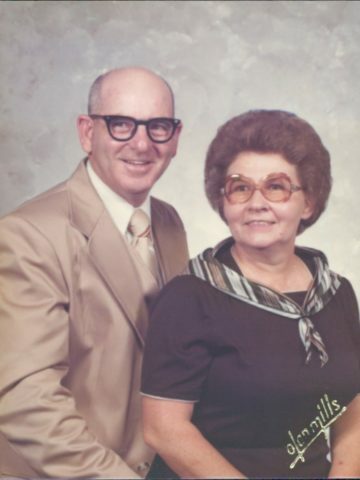 Betty Jean McMurtry Whitaker, age 89, of Goodlettsville, was born December 2, 1928 in Robertson County, Tennessee, being the first born of Mary Dimple Hinkle McMurtry and Ralph R. McMurtry, Sr., who preceded her. She departed this life April 4, 2018 in Davidson County, Tennessee. Mother’s only sister, Rollene McMurtry Carmack, and her oldest brother, Ralph Reid McMurtry, Jr., preceded her. Terry Wayne McMurtry (Claudia Stringer), her baby brother of Franklin, KY survives. Mother married our Daddy, James (Jimmy) Thomas Whitaker, Sr., November 30, 1946, after a whirlwind courtship of three months! They were married almost 42 years. Daddy passed away August 20, 1988. Two children, Cherylyn Whitaker Rader and James (JT) Thomas (Tommy) Whitaker, Jr. were born into this world from their union. My brother, Tommy (Bub), passed away February 20, 2006. Leaving White House High School in her Senior Year to become Daddy’s wife, Mother would comment how she “never looked back.” Mother was a member of the Church of Christ at Millersville. Her entire life was dedicated to God and being a wife, mother, grandmother, sister and “Aunt Betty” to her nephews and nieces, great-nephews and nieces, and great-great nephews and nieces. Mother is survived by me, her daughter, Cherlyn Whitaker Rader, her son-in-law, Gerald (Jerry) H. Rader and her one and only grandson, Hugh-Thomas (H-T) H. Rader. Visitation with the family will be Saturday, April 7, 2018 at Cole & Garrett Funeral Home, 127 North Main Street, Goodlettsville, TN from 4:00 until 8:00 p.m. On Sunday April 8, 2018 at 2:00 p.m., a graveside service will be held at the White House Memorial Gardens, 3629 Hwy 31-W, White House, TN 37188. I am so sorry for your loss. I always loved Betty so much and she was so much fun! I loved your Dad, too. I remember him from when I was a child. He was always a clown and loved to play with us children. Cherlyn….so sorry to hear about your mother. I know y’all will miss her terribly. Cherlyn, I only met your Mother one time at Cumberland Bank in White House. Mrs Rollene Carmack brought her in for us to meet. We all loved Mrs Rollene and her brother Ralph McMurty, now he was a character. You are in my prayers at this time.